We wish you and your families a wonderful holiday season. While we know that the fires throughout both Ventura and Santa Barbara counties have created quite a scare, we are hoping that everyone is safe. We want to thank you for your support, confidence, and trust with all your real estate needs. We are blessed that you are a part of our real estate family. Our best to you in 2018. We hope it is a year of success, enjoyment and most importantly, love and health. This 4 bedroom 3 bath Spanish gem rests at the top of a tree-lined private drive and boasts two mini vineyards of its own, currently producing over 25 cases of Syrah every year. A rare 3-story property, with at least one bedroom and bath on every floor, the home offers a versatile floor plan that allows for unparalleled privacy, while the nearly 0.6-acre lot’s raised position eliminates virtually all traffic noise. Offered At: $859,000. Read more here. SANTA BARBARA & SANTA YNEZ VALLEY MARKET STATS + our new logo & look! Our New Logo & Look! Happy Thanksgiving to all of you. Thank you for making 2017 a successful year for our real estate business. We wholeheartedly appreciate your support, referrals, and trust in us. Thank you! As we all know, owning a home has traditionally been the hallmark of the “American Dream.” However, the materialization of that dream could be impossible if the recently proposed tax bill goes into effect. This is a reality that could impact all of us — rich and poor, old and young, Republican and Democrat. More than anything, this is a homeowner’s issue. If the proposed tax reform bill passes, real estate as we know it will undoubtedly change forever and the changes that ensue could be disastrous to both seller and buyer. Under current tax law, for instance, over 30% of American taxpayers — i.e., over 44 million across the nation — are able to itemize their deductions and often benefit from the unique allowances for which they personally qualify. Congress has threatened to virtually eliminate tax incentives for homeowners and other taxpayers via a number of dramatic adjustments to the current system. Read more on our latest blog here. This 4 bedroom 3 bath Spanish gem rests at the top of a tree-lined private drive and boasts two mini vineyards of its own, currently producing over 25 cases of Syrah every year. A rare 3-story property, with at least one bedroom and bath on every floor, the home offers a versatile floor plan that allows for unparalleled privacy, while the nearly 0.6-acre lot’s raised position eliminates virtually all traffic noise. Read more here. And elimination of the deduction to any teachers who are required to cover the costs of class supplies using their own funds. Tax incentives are critical for a strong housing market that creates jobs and builds stable communities. With fewer incentives to purchase real estate, the value of real estate nationwide will inevitably decrease. Moreover, the proposed tax system is structured to most severely impact individuals in high-tax states (such as California) who now claim large deductions for state and local income tax, property tax, mortgage interest, and sales tax. The middle class is at risk of shrinking even further as hundreds of thousands of California residents are made financially vulnerable by the elimination of these large deductions they have relied on for years. The average California homeowner could end up paying upwards of $3,000 more in taxes per year under the proposed system. This bill could be passed as early as Thanksgiving. What can you do to prevent these proposed changes from becoming a reality? Call or email your congressional leader and explain to them the importance of your deductions. This is a real concern that could affect nearly every American citizen in some way and carries the potential to trigger the next major recession. Stay Tuned for our Monthly Real Estate Roundup article. Thank you and please contact us today for any of your real estate needs! 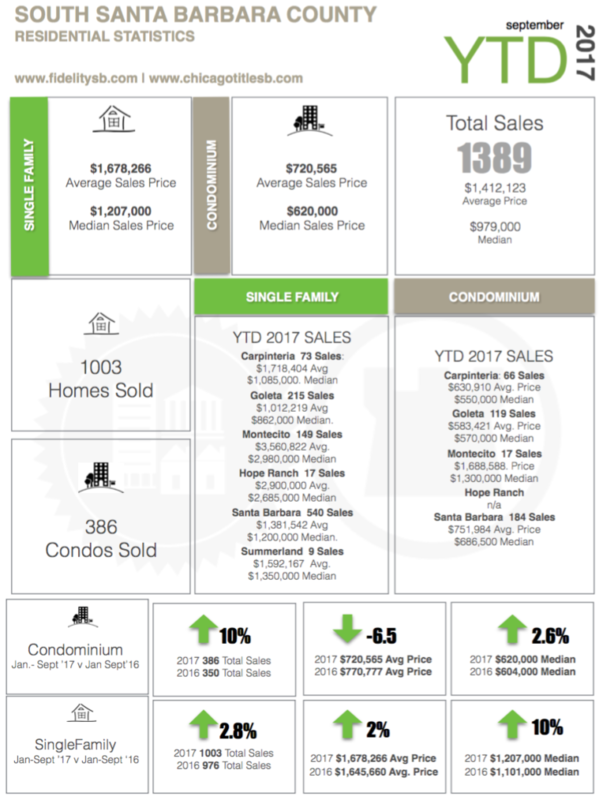 SANTA BARBARA AND SANTA YNEZ VALLEY MARKET STATS & our new app! Happy Fall! 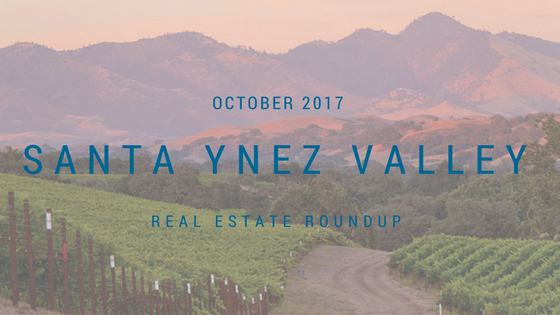 The 3rd quarter is over and real estate continues to stay strong in both Santa Barbara and the Santa Ynez Valley. Prices have risen and interest rates have continued to stay at or below 4%. 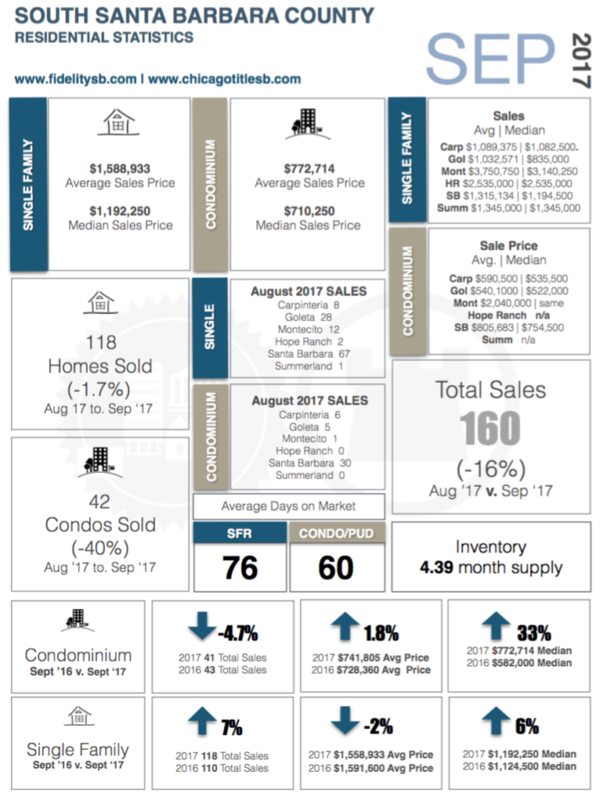 We still appear to be in a seller’s market, with the demand high and the inventory low. 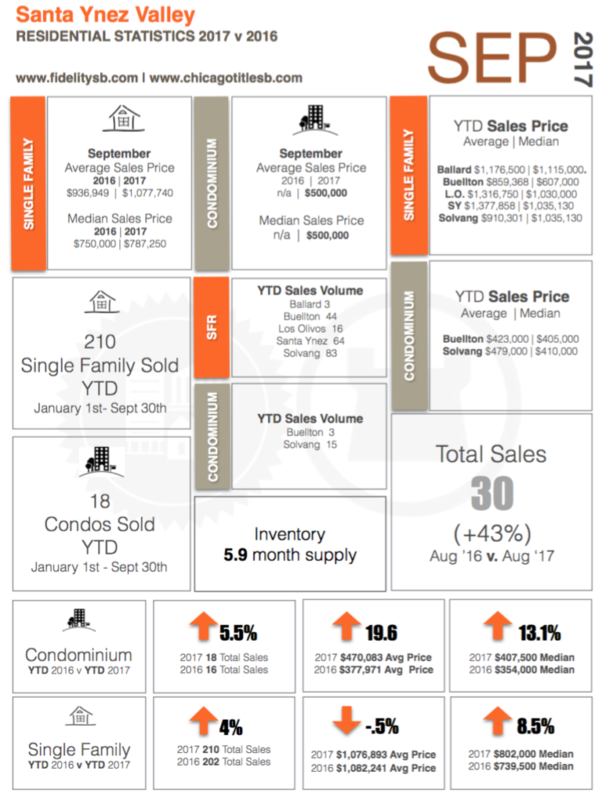 We are trying a new format for showing you the real estate roundup stats and we hope that it is easier and provides more information to you. Also, we are introducing our new Randy and Kellie Real Estate app. 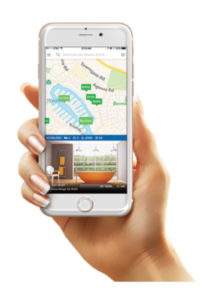 Easy to download and it updates with our different multiple listing services every 30 seconds. It is cutting edge and allows you to easy see what is currently on the market for sale and what properties are going to be open (they are in blue). 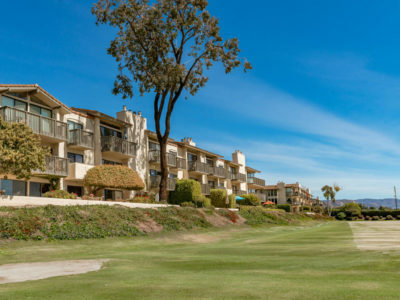 You can search properties from the Santa Ynez Valley all the way down to the LA area, but zip code, city, street, etc. Check it out. 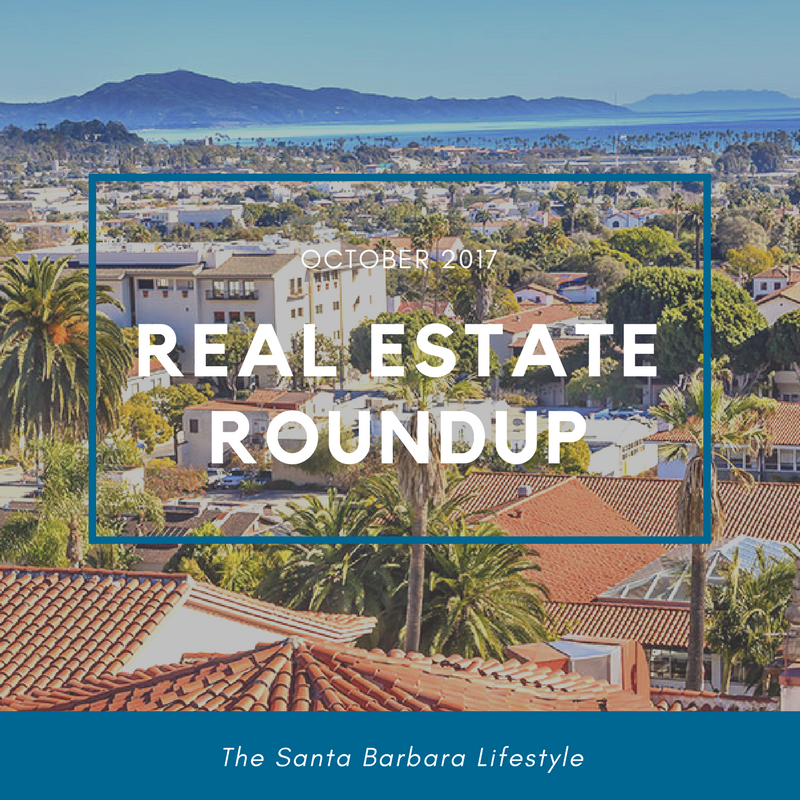 We would like to thank the Santa Barbara Association of Realtors, Fidelity National Title, the Santa Barbara Multiple Listing Service and the North Santa Barbara County Multiple Listing Service for providing us the information. 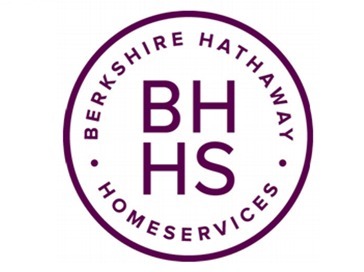 As always if you are thinking of buying or selling, or know someone who is, please think of us and make sure to contact us today!